There’s something significant about capturing the devotion between high-school sweethearts. They've grown up together, through the milestones as well as everyday life, and their love is stronger because of it. Heather and Corey were in the same friend-group during their freshman year but weren’t romantically interested. After graduating, they stayed in their hometown for college; their friends were away. They were left with…each other. ; ) Heather’s mom started suspecting they would end up together when they began spending hours fishing together. Moms have a great intuition! 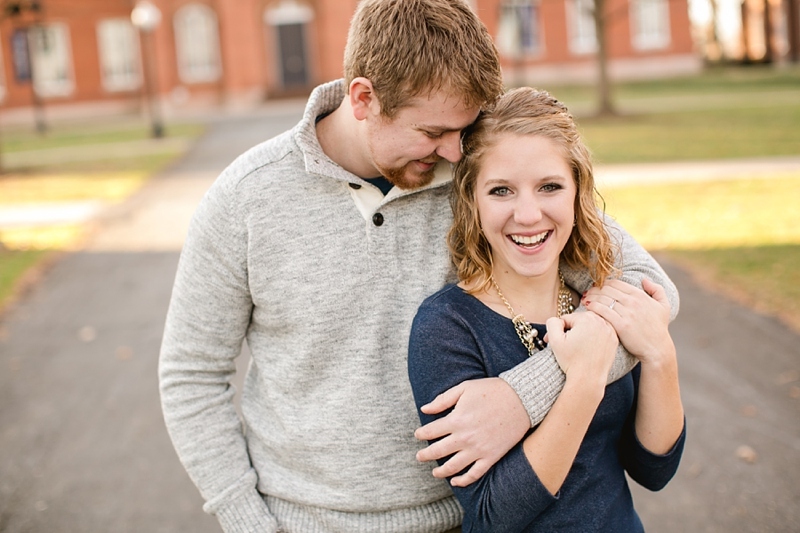 This sweet couple soon realized their friendship had grown into more. They excitedly plan their future together as they hike, golf, play games, and do anything outdoorsy. 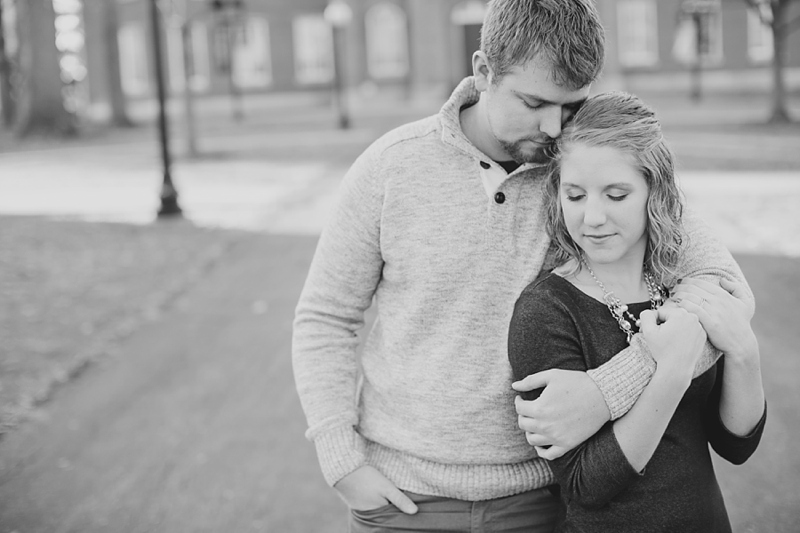 We hit it off right away during their session, and I’m so eager to capture their June wedding! Here in PA it's been COLD-- in the single digits! For this engagement session, we lucked out with a 50-degree day complete with sunshine. Yes, please. 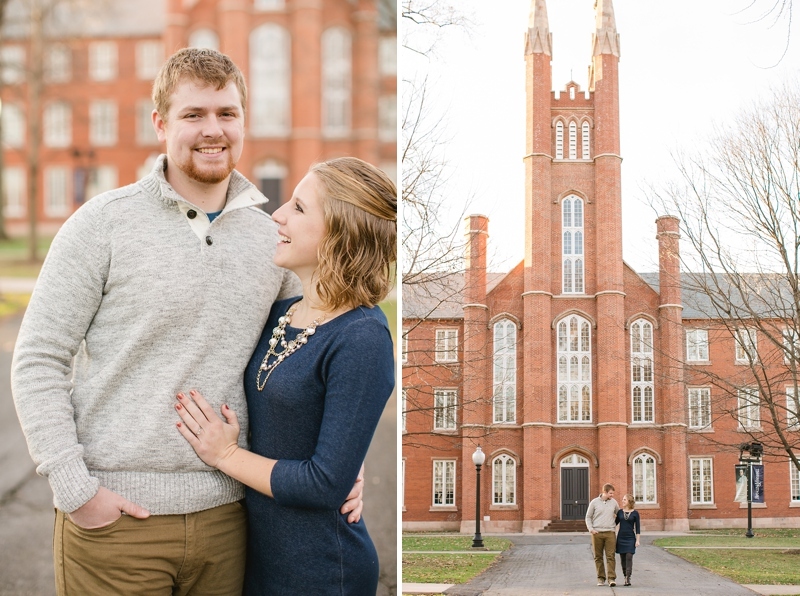 Add in some gorgeous architecture (Franklin & Marshall College), an affectionate couple, and it equals a successful session! One of my favorites. Such joy! The way they look at each other is too sweet!